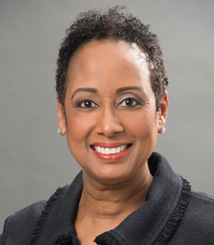 Kimberly C. Hutcherson, MD is the Medical Director of Breast Imaging and Intervention at Gwinnett Breast Center – Gwinnett Medical Center in Lawrenceville, GA and an associate with North Metropolitan Radiology Associates, LLP. Dr. Hutcherson is a graduate of Birmingham-Southern College. After graduating from Birmingham-Southern College in 1988, she performed research at the Alabama Sports Medicine Clinic in Birmingham, AL. In May 1993, she received her medical degree from Meharry Medical College in Nashville, TN and was accepted early into the diagnostic radiology residency program at the University of South Alabama. After completing a transitional year of medicine at Baptist Medical Centers in Birmingham, AL, she entered a 4-year radiology residency at the University of South Alabama in Mobile, AL. Dr. Hutcherson became a Diplomate of the American Board of Radiology in June 1998. Upon completion of residence in 1998, she completed a Women’s Imaging Radiology Fellowship at Magee Women’s Hospital at the University of Pittsburgh. In 1999, Dr. Hutcherson joined North Metropolitan Radiology Associates, LLP and provides her expertise as a dedicated breast imaging and interventional radiologists at Gwinnett Medical Center. She has been a consultant and preceptor with Ethicon Endo-Surgery, Inc. a division of Johnson and Johnson, Mammotome breast biopsy device from 2003 to 2010. Devicor Medical Products, Inc., acquired Mammotome in 2010. Devicor Medical has recognized Dr. Hutcherson as an innovator and leader in the battle against breast disease. Devicor invited Dr. Hutcherson to be a member of the Clinical & Strategic Advisory Panel from 2010 to present. At Gwinnett Medical Center, Dr. Hutcherson is the moderator of the weekly pre-treatment multidisciplinary breast conference. Dr. Hutcherson serves on Cancer Committee, Breast Program Leadership Committee, Multidisciplinary Peer Review Committee and Quality Improvement Committee. Dr. Hutcherson not only diagnoses breast cancer, she is a breast cancer survivor since 2007.